An event of the archdiocese München und Freising, responsible: Department of cure of souls and churchly life, faculty art pastoral, Dr. Ulrich Schäfert M.A. In Kooperation with the cultural department of the city of Munich and Yvonne Pouget. 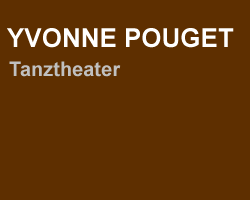 Yvonne Pouget is member of Tanztendenz München e.V. projecting the inner cosmos, the „body inside the body“ tagible into the theater space. According to the latest scientific resarch results the fasciae is a huge organ, probably the richest of the human sense organs: more than 80% of free nerve endings are in the fasciae enveloping all muscles, bones, and blood vessels. „Lo spirito del cuore“ * „The spirit of the soul“ calls Yvonne Pouget her new danceproduction, in witch the choreographer explores the everything connecting matrix in our body as a biographical memory as well as a communication system with environments, meanwhile projecting the inner cosmos – the „body inside the body-tagible into the theater space. the multiplicity of the enrolment body. In a poetic way waved in is the philosophical question if these cocoon of connective tissue of the heart maybe could bet the „spirit of the heart“, means the reason fort the unexplainably aspects and dimension of deep feelings, witch emerge sometimes „out of nothing“, or even the whereabouts of the soul. The particular position of the artistic work, the spiritual and emotional profoundness witch travers as leitmotive through all productions of Pouget based on her longtime reflection with the structure and memory ot the connective tissue. The artist does not want to pose and describe, but she guides her audience in intimate secret spaces, due to focussing on direct systemic communication, in her on language without words. * as „Gostheart“ describe research scientist the conncetive tissue of the heart after removing all other elements of the organ. The heart remains visible with his entire form, even the entire form of the coronry vessel.